The Bosch Ciso Cordless Secateurs have been designed to make the pruning of shrubs and bushes effortless with power from a 3.6 volt Lithium-Ion battery. 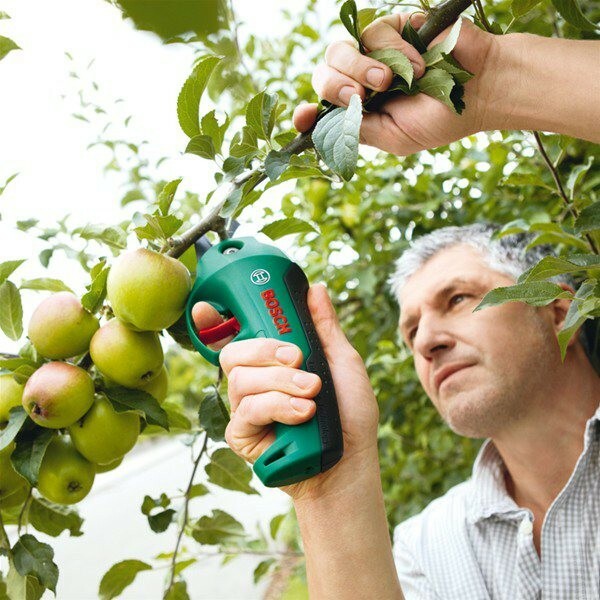 It delivers an average of 500 cuts per pruning session at 1 second intervals and is fully rechargeable from empty within 5 hours. 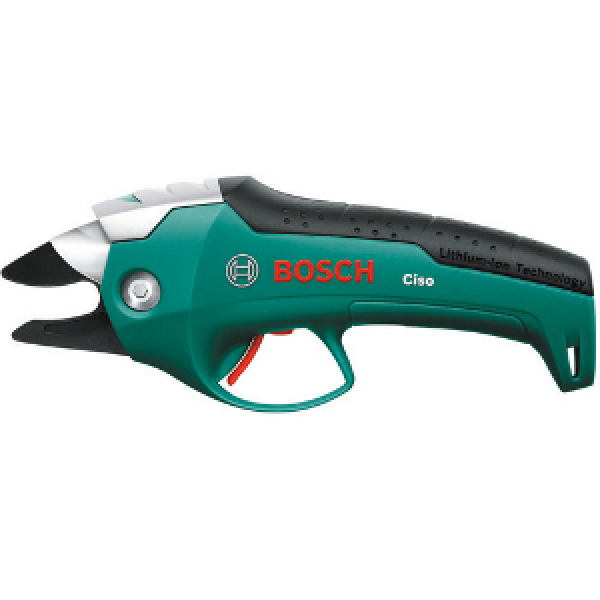 Weighing only 600 grams, the Bosch Ciso is capable of cutting through growth of 14mm in diameter due to the super sharp, replaceable Swiss quality carbon steel blade which is trigger operated, when not in immediate use a child safety lock can be activated. There is even a battery status indicator to tell you when power is running low.